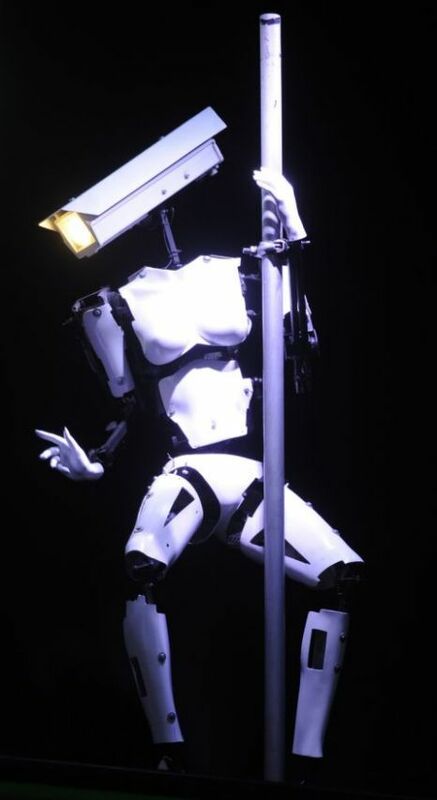 Check out this bizarre robot that gyrates like a pole dancer. This bizarre model was made by a security firm and showcased at Ce-BIT, the world’s biggest IT trade fair, in Hanover, Germany. Skip to 33 seconds to watch him/her/it dirty dancing.